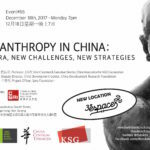 For the last event of the Fall Season 2017, ThinkIN China gathered for the second time in the co-working and event venue 3ESPACE, key project of the SANY Foundation, to discuss about philanthropy and charity in the new era of China. 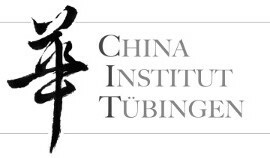 For the occasion we invited three speakers, differently committed to non-profit and charity initiatives in China: HUANG Haoming 黄浩明, Vice-Chairman and Executive Director of the China Association for NGO Cooperation; ZHAO Chen 赵晨, Deputy Director of the Child Development Center within the China Development Research Center; ZHANG Shantong 章善桐, Project Officer of the Sany Foundation. Dr. Huang Haoming drove our attention to two crucial dimensions which need to be addressed in order to get a realistic idea of how philanthropic and charitable projects developed throughout the years up to present. 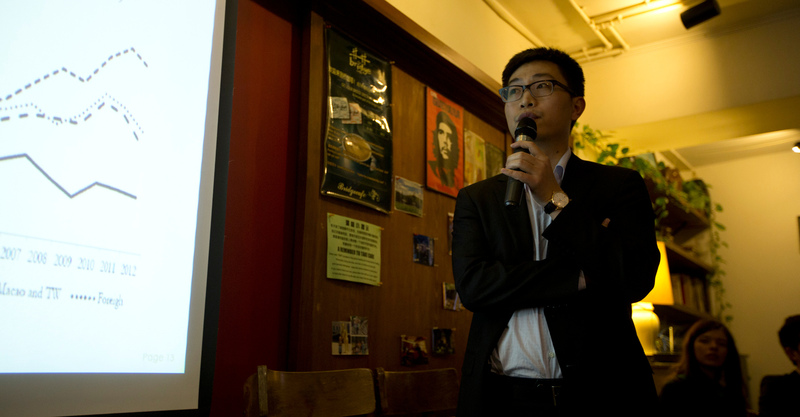 He indeed focused first on the complex legal and political evolution of NGOs’ status in China, both home-based and overseas, specifically pointing out the relevance of the recent improvements triggered by the 2016 new Charity Law. Secondly, he delved more deeply into the future prospects for further developments of philanthropy in China, not only in terms of effective implementation of the newly released norms, but also taking into consideration which new issues Chinese NGOs will be dealing with at the global level. After briefly outlining the differences between social organizations, social service agencies (private non-enterprise unions) and foundations, Dr. Haoming provided detailed data about the outstanding growth of the so called ‘society organizations’ in China, most notably of foundations. These in fact recorded the quickest and most significant development over the last eight years, doubling in number and collecting 62.5 billions yuan out of the 78 billions totally arranged through social donations in 2016. Charitable and non-profit organizations active in mainland China have been also facing significant changes since the new Charity Law was released in 2016, marking a big step-forward if compared to the 1999 Welfare Donations Law. 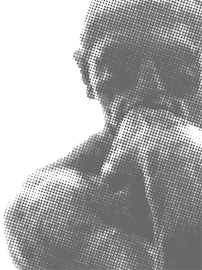 Far from only regulating donations of private fundings, assets or shares stocks, the brand-new normative covers a wider range of issues, like volunteer work, involvement of companies in charity trusts, legal recognition of organizations under the new law or the employment of the Internet and online social platforms for raising funds. What is more, the landscape of NGOs in China has been radically transformed by the huge increase of overseas organizations which have been setting up their activities in the country. As recent as November 2017, 280 representative offices of foreign non-profit organizations were already registered, mainly in Beijing, followed by Shanghai and Guangdong province. Remarkably, the new, clearer regulatory framework has been creating a favorable domestic environment for Chinese NGOs to expand, what has got them to adopt a more and more global approach. Their participation in international organizations and major summits, like the Hamburg G20 or the 2017 UNFCCC in Bonn, has been scaling up steadily, along with their presence in humanitarian assistance actions and public welfare projects. Such outcomes certainly lay the groundwork for positive forecasts over future improvements, taking into account unprecedented dynamics such as a stronger focus on the rule of law, a renewed governmental support in terms of public policies and the increasing diversity of actors involved in charity projects for tackling complex and intertwined social issues. Yet, several challenges need to be addressed in order to fully get the opportunities emerging in China’s charity sector, both at national and global level. First of all, Chinese non-profit organizations still lack capacity resources and prepared professionals, two elements that jeopardize the overall efficiency of the activities they carry on. A second critical point is represented by the controversial relationship between social agents and governmental authorities, since the first are in need for public resources but are also subjected to a stricter control and supervision by the latter. The Chinese government has indeed changed its role in philanthropy fields, directly committing to increase the level of professionalism but also designing management and assessment mechanisms to make NGOs fully comply with governmental regulations. Obstacles have emerged in fund-raising and social mobilization as well, since philanthropists and foundations still have to develop strategies for benefiting more from online platforms and channels. 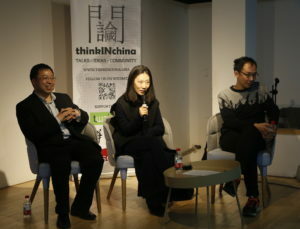 Overseas NGOs active in China will also have to deal with several operational issues, such as building efficient win-win partnerships with local organizations, recruiting professional personnel through the use of China’s social security system, and improving the coordination of their often separated units, in order to actually respond to social communities’ demands. Chinese citizens’ new awareness and interest in philanthropy and charity have been also strengthening public claims for increased transparency, accountability and legitimacy of all the actors involved. In the next ten years, China’s social organizations are expected to enlarge their participation within the global governance system, as well as the trans-regional cooperation with their foreign peers. Beijing has been exerting an always more prominent role in setting the international agenda as far as major global issues are concerned, from environmental and climate change policies to poverty reduction. Such a leading position, though, requires to find a new and more effective balance between governmental policies and supervision, talents, private funds and social trust, in order to solve social problems. How can, for instance, innovative industries contribute to reform philanthropy, enhancing professionalism and flexibility among an increasing number of stakeholders? Higher transparency in the organizations boards and decision making process, accountability in terms of operational efficiency and financial effectivity, standardization and equality of rules for all NGOs, shared responsibility in supervising the collection and allocation of donations, they have now turned into priorities for making philanthropy and charity in China true allies in serving people’s social needs. Zhao Chen focused more on the charity initiatives promoted by the China Development Research Foundation, initiated by the Development Research Centre of the PRC’s State Council (DRC). Governmental background and backing to the CDRF are based on recognition that China’s outstanding rate of growth has also triggered conflicting effects, particularly in terms of social injustice and inequalities. Therefore CDRF’s mission shoulder to shoulder with the government is to keep promoting economic development while making good governance and public policies sort out social imbalances. The foundation firstly constitutes a channel of easier communication, that is it facilitates companies and organizations to gather and get in touch with ministries and State Council’s departments active in fields where crucial social issues need to be addressed. The China Development Forum organized on annual basis is the most noteworthy example. Secondly, the foundation is active in the government-entrusted research area, in cooperation with different ministries, through the issue of reports aimed at analyzing first class social issues and possible solutions in a wide range of sectors, from environment to education and public health. Lastly, the CDRF directly manages development programs, mainly in the rural and poorest counties of China, like Sichuan, Yunnan, Guizhou provinces, which are realized as ‘social experiments’ and pilot projects. Main purpose is to collect information and achieve positive outcomes which are likely to be broadly implemented at the national level. Since the CDRF is a non-profit organization, its mutual relation with central and local governments is necessary in order to get access to resources while making public authorities more and more accountable, as far as social welfare services are concerned. Such strict compliance to the government directions is mirrored by the CDRF’s function of policy advocacy, which is intended to assure an efficient allocation of resources, as well as to design, release and implement accurate policies to tackle social problems identified in CDRF’s reports. As a consequence, the foundation also exerts the role of evaluation centre once public norms are issued, specifically guaranteeing standardization in the implementation degree among difference provinces and thus contributing to continue improvements. In the recent years, the foundation has been focusing on the education and nutrition areas, with the launching of different pilot initiatives in the most indigent parts of mainland China. In 2009 in Ledu, Chengdu province, so called ‘MaMa Schools’ were first set off, providing pupils’ mothers training to healthy nutrition for their children. A number of other projects then followed, offering education and concrete support to families of children at different ages. The China Reach Parenting Program constitutes in home-visitings, in order to get in touch with parents of zero to 3-year-old babies, and inform them about accurate diets. For children between 3 and 6 years old, the foundation supported the establishment of pre-school education programs, like the Village Early Education Centers (VEECs). With the aim of providing life course intervention on education and nutrition, the pilot project also included e-learning activities in rural primary schools for 6 to 13 years old students, and secondary vocational training to rural students until they turned 18. The first social experiments led to national nutrition improvement plans for rural students during compulsory education, currently covering up to 834 counties and more than 34 million students. The CDRF keeps carrying on its activities of reporting major social issues, supervising public policies and supporting collection and sharing of data, in order to promote poverty eradication from intergenerational transmission and the construction of a multidimensional social security system for the weakest sections of China’s society. Last but not least, Zhang Shantong, Project Officer at Sany Foundation, outlined the association’s mission of promoting a scientific, transparent and professional philosophy to charity in China. Such approach is reflected in the ‘ecosystem’ offered by the 3ESPACE as an Easy, Enjoyable and Effective (3 Es) co-working space for exchanging ideas. In the first place, the accurate and objective method the Sany Foundation has been making a point of results in a strong focus on concrete and systematic evaluations of charity projects in terms of employed resources, impact, achieved outcomes and actors which need to be involved (like NGOs and private companies). Philanthropy and charity are able to represent real assets in tackling social issues and fostering social development when programs are designed in such way they can make the difference in the weakest and deprived categories of society. The foundation is thus specifically committed to support pilot initiatives, like issuing high school scholarships in the form of traditional cash transfer under conditionality, in order to assess whether it could improve the students’ attendance and performances, especially in rural China. The elaboration of such kind of projects starts with evaluating which areas (mainly rural regions) and groups (students at high school stage) are most in need of charity interventions. In such social experiments, donations and philanthropic organizations’ resources are allocated on the basis of concrete indicators, which ultimately lead to objective data – for instance the increase in academic performances of students who receive a scholarship regardless their prior grades. Data and results are thus the key elements in the whole activity carried on by philanthropists, charitable organizations and foundations, whose contribution to China’s social development not only relies on getting access to money, but also on an always more efficient, rational and effective convergence of resources where people really need them.